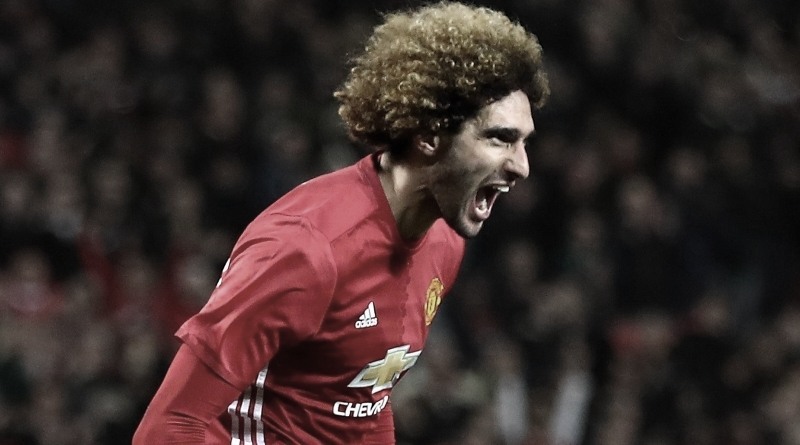 Galatasaray are set to sign Manchester United midfielder Marouane Fellaini, according to the football transfer rumours in Turkish Media (Turkish Football). The Belgium international has joined Manchester United from Everton for a fee in the region of 33 million euros in September 2013. The 29-year-old has a valid contract with Manchester United until June 2018. Since his arrival from Everton, Fellaini has scored 15 goals and provided 9 assists in 133 games for Manchester United. Marouane Fellaini has represented Belgium at Under-18, Under-19, Under-20 and Under-21 level, winning 16 caps and scoring one goal, before making his senior international debut in February 2007. As a member of Belgium national football team, Marouane Fellaini has won 77 caps and has scored 16 goals. The midfielder has just 12 months remaining on his contract and Manchester United may consider a deal in this transfer window to avoid losing him for nothing next summer. Adding a midfielder remains Galatasaray’s top priority this summer and Igor Tudor will have drafted a shortlist of a number of possible targets he could approach in the coming days. The Belgium international is thought to perfectly fit the profile of midfield player Igor Tudor wants to target in the summer transfer window. Igor Tudor will reportedly be handed a huge transfer kitty this summer and the Manchester United midfielder is thought to be among the manager’s priorities. Galatasaray are in the market for just a handful of statement signings this summer who can improve the first-team. According to the report in Turkish Media, Galatasaray have agreed personal terms with Belgium international, but they are yet to agree a transfer fee with Manchester United. How strong that interest is and whether Galatasaray will make a summer move remains to be seen but it is certainly one worth keeping an eye on.